Turkish police have detained four journalists from different media outlets over alleged links to Turkey’s Gülen group, which the government accuses of masterminding a coup attempt last year. According to the Gazete Duvar news portal, Şule Çizmeci, a former reporter for now-closed Radikal daily, was detained in İzmir’s Datça district on Wednesday. It was reported that she is expected to be brought to İstanbul for interrogation. In a similar vein, the Doğan News Agency reported that journalist Mehmet Gündem who had worked for several different media outlets including Milliyet, YeniŞafak, Zaman and the state-run TRT, has been detained as part of an investigation into the now-defunct Journalists and Writers’ Foundation (GYV). 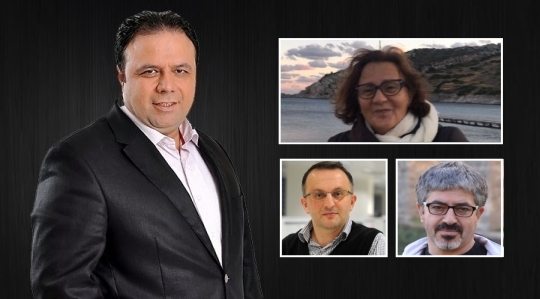 Along with Gündem, Behram Kılıç, former Zaman daily sports correspondent and Nuh Gönültaş, a columnist for now-closed Bugün daily were detained on similar charges. As part of the same investigation, detention warrants were issued for 112 others on Wednesday. An Istanbul prosecutor ordered warrants against GYV’s former members and executives in 16 provinces, media said. 35 of the suspects were rounded up at the time of this writing while police were seeking the remaining 77.